Remember when the Pittsburgh Penguins were incapable of contending for a Stanley Cup because of their inexperienced, unproven defensive corps? I’m happy to say that I was one of the very few who were anxious to watch this group grow. The Penguins stacked their offensive group with added scoring depth last summer and it seemed as if they ignored their blue line. Many felt it was crazy to approach the 2015-16 campaign with such a young, cheap and unproven group of defensemen and for some reason, no one wanted to give them a chance. An 82-game NHL season is a marathon, after all. There’s plenty of time to address issues throughout the year. An interesting dynamic occurred as a result of that lineup. Former head coach Mike Johnston looked uncomfortable with the group Jim Rutherford provided him, so he began playing a brand of hockey that didn’t suit that roster. Instead of insulating those that he lacked confidence in by hemming opponents into their own zone, he played too conservatively in an attempt to provide more help behind Pittsburgh’s blue line. The result was an increased workload for Marc-Andre Fleury and a severe scoring problem. The last issue, and one that has troubled Pittsburgh for years is defense. The team does have some good young defensemen in the organization with players like Olli Maatta and Derrick Pouliot, but they rely solely on Kris Letang and don’t have any other defensemen that can handle as much ice-time as he does. Trevor Daley proved to be invaluable down the stretch and ate a lot of minutes. Brian Dumoulin meshed well with both Daley and Letang and while Maatta had his struggles last season, he was serviceable when it mattered most. It was a gutsy performance all-around and the Penguins ended up with one of the more reliable defensive groups in the postseason. Was it because they were that good as individuals? Not necessarily. It was because Sullivan continued to put them in situations to be successful and they worked well together. Will they continue to grow as a unit, considering the top-six is almost a mirror image of last Spring? We’re looking primarily at point production here, and Letang is surely poised to lead the way on the blue line yet again. His offensive prowess from the back-end trails only Erik Karlsson and when combined with his defensive awareness, he’s second to none. Anyone that gets to watch him on a nightly basis will argue that he’s quite possibly the best all-around defenseman in the league. And, by far the most underrated. 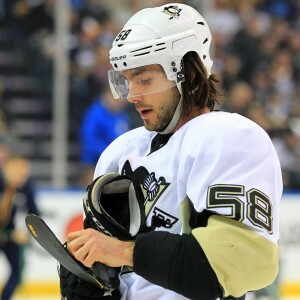 Health concerns always exist for Letang. Multiple concussions combined with his somewhat reckless playing style is a dangerous combination. Having completed only one full season throughout his NHL career and up to this point – averaged 65 games played in non-lockout years – it’s safe to assume he’ll miss time at some point. That’s simply the nature of this game, especially when you’re a player targeted as much as number 58. Last season, he ranked second in points-per-game among defensemen who played at least 20 regular season games with .94, falling short of Karlsson in the lead spot. He also ranked second, along with Oliver Ekman-Larsson in power play points with 27, finishing just behind Brent Burns who tallied 30. Pittsburgh is a completely different team with and without Letang in the lineup, and one of the more noticeable areas he impacts is defensive zone exits. He’s elusive and has the ability to escape danger with his feet, providing Pittsburgh the quick transition this offense requires. Everyone talks about Sidney Crosby and Evgeni Malkin but it’s important to note just how important Letang is to this team. It’s impossible to find a reason for skepticism heading into 2016-17 when it comes to predicting Letang’s production. I expect him to miss some time, especially with the grueling schedule that follows the World Cup of Hockey, but he’ll remain a clear difference maker when he’s in the lineup. I’ll go with 67 games and 63 points for the dynamic blue-liner. I also assume he’ll be overlooked in Norris conversations as he is every season, despite being more worthy than most. Unless of course, it’s deemed ‘his time’. 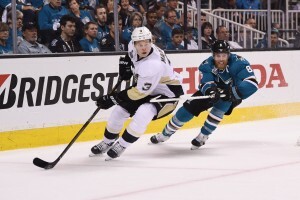 Who is Olli Maatta? Is he the stud defenseman who made it impossible not to keep him on the NHL roster for his rookie season? Or, is he the average blue-liner we witnessed last season between injury issues, who looked fine at some points and downright bad at others? Personally, I believe he’s the former. I also believe this season will be a redemption tour for the youngster. Maatta is viewed as Letang’s partner on Pittsburgh’s top pairing, which means it’s his job to lose. When he’s on, the two of them are a perfect combination of offensive prowess and defensive responsibility. Maatta is the yin to Letang’s yang. A smart, stay-at-home defenseman that also boasts the puck skills to keep up in Pittsburgh’s system. I won’t be bullish and suggest Maatta will play a full 82-game season, as his past few campaigns make it impossible to expect that. However, I do see him playing more games this season than we’ve seen over the last two years. I’m predicting 76 games and 27 points in 2016-17. Should we expect a drop-off in production from Daley, who will turn 33-years old just as the 2016-17 season kicks off? 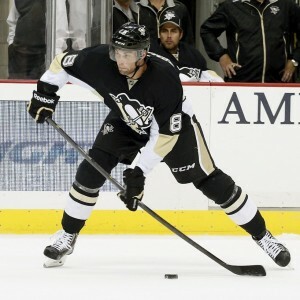 Daley suffered a broken left ankle in the postseason, which eliminated him from playoff contention. While that didn’t stop him from pushing through the pain for his lap with Lord Stanley, one has to wonder if that ankle will ail him heading into the upcoming season. There’s been no indication that the injury will linger but let’s face it, it was a very short offseason. Daley averaged .42 points-per-game after joining the Penguins last season. He also added six points in his 15 playoff games and put together what was arguably his best showing of the season when Letang was suspended for one game versus the Washington Capitals. In other words, he was everything Rutherford could have wished for upon acquiring him from Chicago. There are a few Penguins that I expect to take a step back next season and Daley is one of them. I’m not forecasting a bad season, but I don’t foresee him duplicating what he did upon his arrival in Pittsburgh. I expect a small drop in points-per-game, likely coming in around .35 and somewhere around 67 games. That puts Daley in the ballpark of 24 points for 2016-17. Dumoulin took the biggest step forward among Pittsburgh’s defensive group last season and played a crucial role in that group growing the way they did. The 24-year old rookie earned top-four duties and was arguably the most reliable defenseman at both ends of the ice throughout 2014-15. I don’t expect that to change this season. Dumoulin isn’t going to put up massive amounts of points. He won’t necessarily stand out to a casual fan, as he isn’t flashy by any means. What he will do, though, is provide the Penguins smart, responsible play and the ability to move the puck to Pittsburgh’s skilled forward group. I won’t go as far as putting him in Norris Trophy talks but I will suggest that he’ll be one of Pittsburgh’s most valuable defenseman again in 2016-17. As far as point production, I’ll go with 80 games and 20 points. Will Ian Cole and Justin Schultz hold down the five and six spots all season? Will Derrick Pouliot supplant one of them? There are plenty of questions surrounding the bottom tier of Pittsburgh’s defensive corps. Things get muddy when you consider their depth at the position, as no one really knows what to expect past Cole, Schultz and Pouliot. I can’t imagine a scenario that sees Pouliot steal playing time to start the season unless he has a tremendous camp and let’s be honest, the past few summers make it difficult to foresee such a thing. For the moment, I’ll assume it’s a Cole – Schultz pairing. Cole was one of the bigger disappointments of last season, at least for the first portion of the campaign. He played admirably in 2013-14 after Pittsburgh acquired him in exchange for Robert Bortuzzo, but failed to match that level for most of 2014-15. 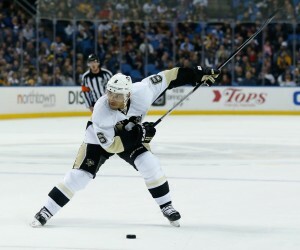 He played good enough down the stretch but the Penguins will need more from him this season. Schultz should be one of the more motivated blue-liners on this roster as he attempts to further repair his reputation. He was deemed a bust in Edmonton and redeemed himself a bit after arriving in Pittsburgh. Now, playing on a one-year ‘show me’ type of deal, he’ll need to break out even more. I’m not sure he has it in him, though. With Cole, I expect a small uptick in point totals but I also see him being the most tradable asset on the back-end. Many would argue that Pouliot is most likely to move but that’s a conversation for another time. If Cole finishes the season in Pittsburgh, I’m expecting 60 games and 16 points in 2016-17. I like Schultz a lot, but I think we’ve seen his ceiling. He’s going to be a solid, bottom-pairing defenseman and a good option for the second power play unit. I think he’ll prove to be a slight upgrade over Ben Lovejoy, as he’ll play just as responsibly but add a few additional points. I’ll go with 65 games and 18 points. Thanks for reading. It’ll be fun to revisit these predictions in April when hopefully, we’re discussing Pittsburgh’s quest to defend their Stanley Cup Championship in the postseason.